Yesterday was October 6th, a date that I kind of forgot about. Jack turned 11 months old, and I am sorry to say that in my mind that eclipsed what else happened on October 6th, 2007. 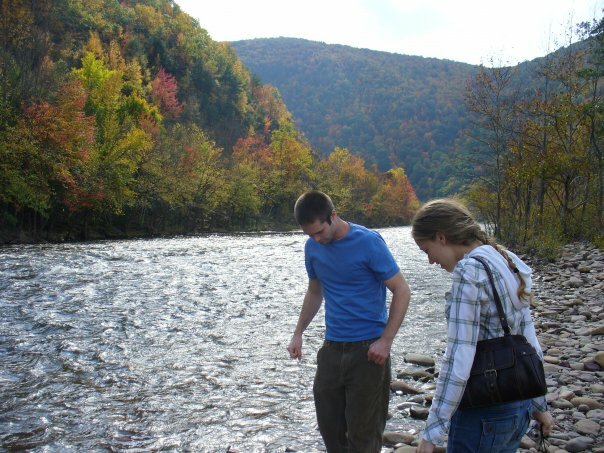 Matt proposed on a little rocky beach in Jim Thorpe, PA, where he lived at the time. But someone else didnt forget. I've said it before, but God really blessed me when he led me to Matthew. I doubt that my husband would remember the date we got engaged! This made me a little weepy! So flippin' sweet. I think I have told you before, but I will say it again, I so pray my daughter finds someone like your Matt....he is a dream in my opinion!! You are so very blessed Bekah!! Congratulations! So sweet. Enjoy your blessings. What an awesome husband you have! Ugh hormones! Made me cry! SO sweet Matty!